Yesterday on Capitol Hill, renowned celebrity animal protectionists Bob Barker and Jorja Fox joined London-based Animal Defenders International (ADI), the Performing Animal Welfare Society (PAWS) and members of Congress to launch a Bill that will change the way in which animals are used in the name of entertainment in the USA. This historic launch comes at a crucial time as the UK Government considers the plight of wild animals currently languishing in circuses and follows the Commons debate in June where MPs voted overwhelmingly for a ban. ADI is calling on the Government to follow the lead of the U.S. Congress, and act once and for all to end the suffering. The Traveling Exotic Animal Protection Act (TEAPA) is a historic first for the U.S., and this Bill, which has attracted bipartisan support and been sponsored by Congressman Jim Moran (D-Va), aims to restrict the use of exotic and wild animals in traveling circuses, effectively bringing to an end the random cruelty and neglect associated with circuses of this nature. 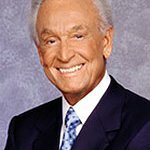 It is the first bill to comprehensively tackle the use of all wild animals in U.S. circuses ever to be launched in the U.S.
Philanthropist and TV host of The Price Is Right Bob Barker said: "Americans are becoming increasingly aware that circus animals suffer from violent training techniques and severe confinement. Big, wild animals should not be part of the traveling circus and simply put, animal acts in circuses are antiquated and belong in the past, in a time when humans were ignorant about the needs of the other species who share our planet. " A new video screened at the launch entitled ‘In the United States today…’ features footage from circuses including violence, confinement and deprivation. The Bill is supported by a series of Congressional ADI Briefings, which cover key issues such as ‘Public Health & Safety’, ‘Enforcement’, ‘Captivity & Transport’, ‘Control and Violence’, ‘TB’ and ‘Economics’. This provides overwhelming evidence to support the reasons that it is time for the U.S. to move forward with other countries that are now taking action – the U.S. needs to restrict the use of wild animals in traveling circuses. Careful research and detailed undercover investigations in U.S. traveling circuses have shown the welfare of animals is unacceptably compromised as the animals endure confinement, physical and social deprivation, long, arduous journeys, brutal control methods and physical violence. The training tools of the circus trade include bullhooks, electric prods, and whips. Large animals like lions and tigers spend their lives cramped in small cages, and elephants are forced to live chained by one or more legs for hours on end. In addition, traveling circuses pose a serious threat to public safety, as the keeping of wild, stressed animals in dangerously close proximity to the public is a recipe for disaster. Incidents of circus workers and members of the public having been killed and maimed by circus animals are well documented. ADI’s evidence shows how law enforcement authorities have difficulty enforcing Federal animal health, safety, and welfare laws, and violations due to the mobile and transitory nature of traveling circuses. Jan Creamer, ADI’s President said: "This is a historic day, this is about America standing up and saying these magnificent animals should not be abused in the name of entertainment. The days of animals suffering in traveling circuses are numbered not just here in the U.S. but all over the world, and we hope that the UK government finally stands up, takes notice, and implements an outright ban. Due to severe confinement, lack of free exercise, and the restriction of natural behaviors, animals used in traveling circuses suffer and are prone to health, behavioral, and psychological problems. In February this year, ADI completed a mission that removed every circus animal from Bolivia after securing an animal circus ban there. This included flying 25 lions to Colorado and 4 to California to safe homes. Bolivia has the most progressive law in the world, but turned to American compassion to help the animals. ADI and PAWS believe the Bill will have massive popular support in the US. Similar measures to prohibit or limit the use of animals in circuses have already been adopted in Bolivia, Austria, Belgium, Czech Republic, Peru, Portugal, Denmark, Sweden, India and other countries and similar laws are being discussed in Brazil, Chile, Colombia and Greece. These countries have looked at the evidence and listened to the will of the people and done the right thing for animal welfare by implementing bans. It is now time that the U.S. and the UK did the same.